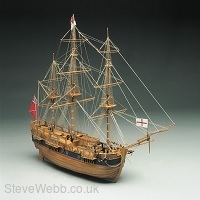 Endeavour 774 Scale 1:60 Length 810mm. 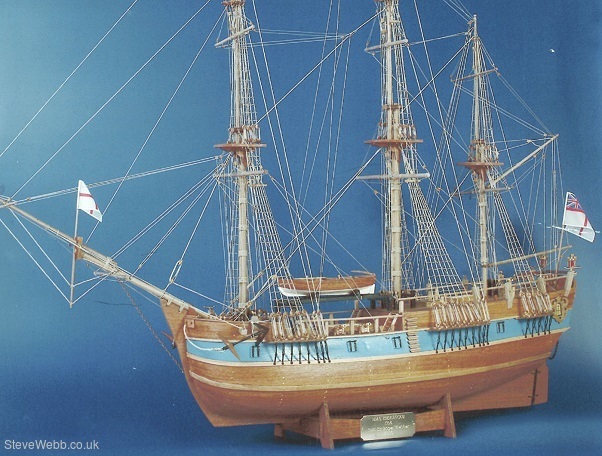 This ship was originally built as a collier in Whitby and was bought and refitted by the Royal Navy in 1768. The works included the addition of a further deck to provide cabin accommodation. She was then re-launched under her new name Endeavour and went on to become famous as Captain Cooks ship in his scientific journey of discovery. 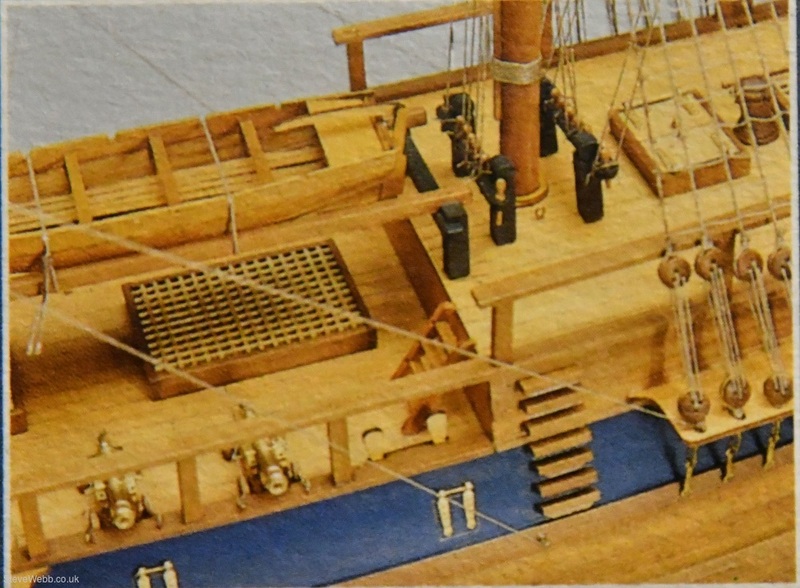 A plank on frame construction, the kit contains:- Building plans with general details English instructions, lost wax brass castings walnut or lime wood planking, wooden masts and spars, brass and walnut fittings, laser etched details, rigging cord and silk flag. All sheet plywood sections are laser cut for accuracy.